"Dart Flights with ""Dart Board"" Theme"
The target of the dartboard always in mind. Add a timeless look to your darts with Dart Board Flights. Choose between classic Bristle Board Flight designs or a futuristic dartboard flight theme. 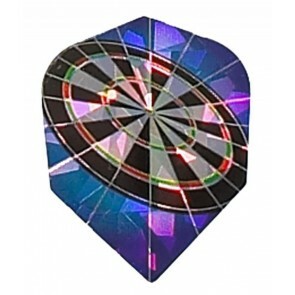 Flights with dartboards are available as nylon fabric flights, poly flights or structured dimplex flights.